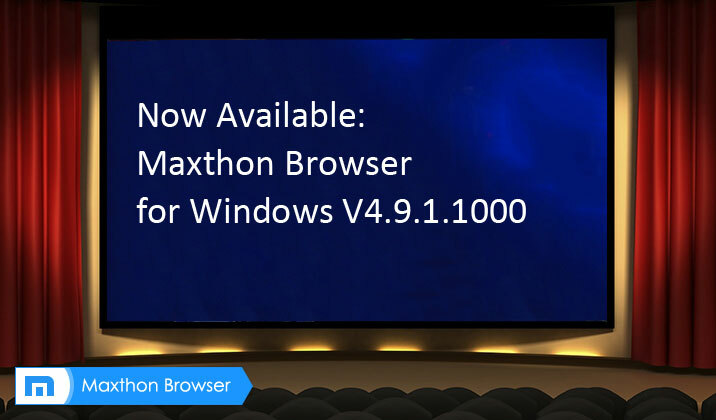 Today, we bring you official version V4.9.1.1000 to let you have a try. The key changes and bug fixes have been listed in the changelog below. Any comments or feedback will be highly appreciated! Maxthon Cloud Browser for Windows V4.4.6.1000 Officially Released! 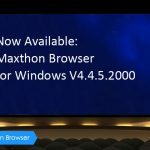 Maxthon Cloud Browser for Windows V4.9.2.1000 Officially Released!